Tag Archives for " Ask Mike Murphy "
IGTV: Is Vertical the Future of Video? Ross Brand with your Livestream Universe Update and Flash Briefing for Monday, June 25th, 2018. When the new Brand on Broadcasting podcast launches, the first guest will be TED Talk speaker and Human-to-Human digital marketing thought leader Bryan Kramer. Hours after IGTV went live, Bryan joined me to record the episode at Social Media Week Lima, Ohio. Bryan says he’s sees huge potential in Instagram’s new platform for long-form vertical video. Bryan also shares his thoughts on live streaming in Facebook groups vs on public pages. You can hear the entire interview in the upcoming episode of Brand on Broadcasting. At 3pm ET, Owen Video hosts BeLive Weekly. He and Molly Mahoney will talk about how they recovered from live streaming disasters and how you can too. That’s on the BeLive TV Facebook page. 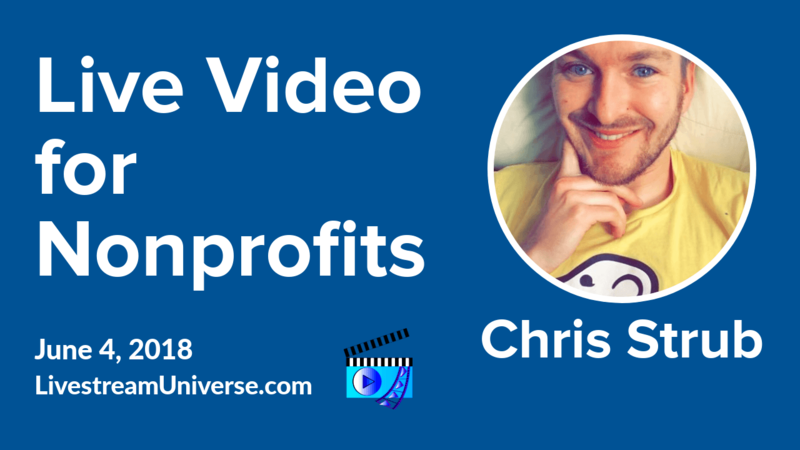 At 4pm ET, it’s Episode 4 of Chris Strub’s Nonprofit Spotlight. His guest is Melody Murphy, the director of digital engagement at Metro United Way in Louisville. Chris is going live while traveling on the #roadtosocial trip. Watch it on Instagram Live @ChrisStrub. At 5:15pm ET, Ai Addyson-Zhang is a guest on Thinkific’s live streaming show. Catch that on Instagram Live @thinkific. Ross Brand with your Livestream Universe Update and Flash Briefing for Monday, June 18th, 2018. Say good-bye to live streaming app live.ly. musical.ly is killing off the app that it launched two years ago. It will incorporate the live streaming features of live.ly into the lip-syncing musical.ly app. 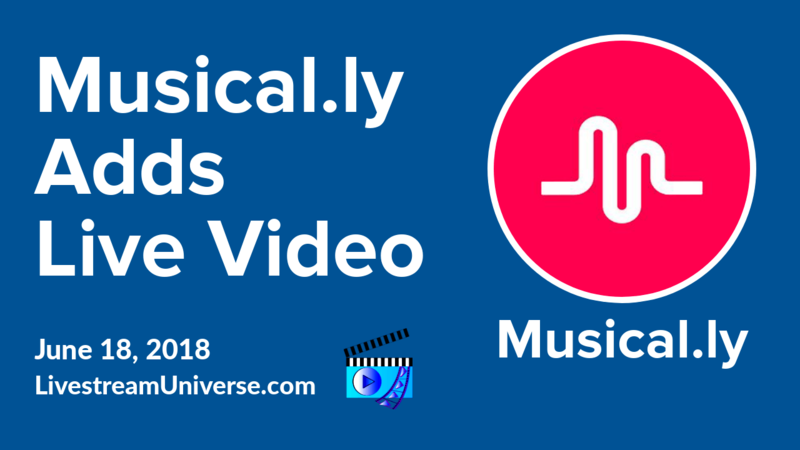 Users of musical.ly can expect access to the live video streaming features in the next few weeks. Episode 002 of the LivestreamDeals podcast features Jessika Phillips, founder and organizer of Social Media Week Lima, Ohio. The Midwest’s largest social media conference is Wednesday and Thursday of this week. Listen to the podcast on iTunes at LivestreamDeals.com/iTunes. Ross Brand with your Livestream Universe Update and Flash Briefing for Monday, June 4th, 2018. Chris Strub is the first person to livestream and snapchat in all 50 states, supporting nonprofits along the way. This afternoon Chris launches a new live streaming show. Chris’ first guest is Cara Baribeau, VP of Marketing and Communications at the Community Foundation of Louisville. You can view #NonprofitSpotlight at 4pm ET on Instagram. The account is @ChrisStrub. 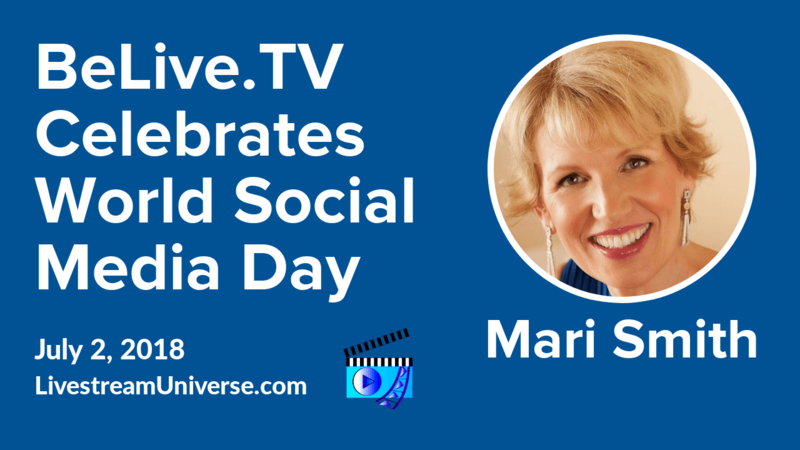 Mari Smith did a one-hour live masterclass on Proven Ways To Monetize Your Facebook Live Broadcasts! She covers everything from selling products and affiliate marketing to finding show sponsors and becoming a brand ambassador. Watch the replay on the BeLive.tv Facebook page. 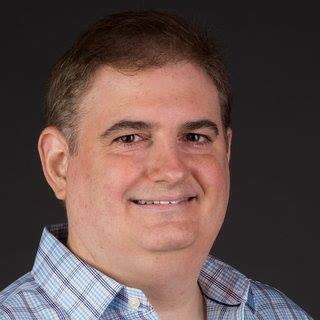 Ross Brand with your Livestream Universe Update and Flash Briefing for Monday, May 21st, 2018. 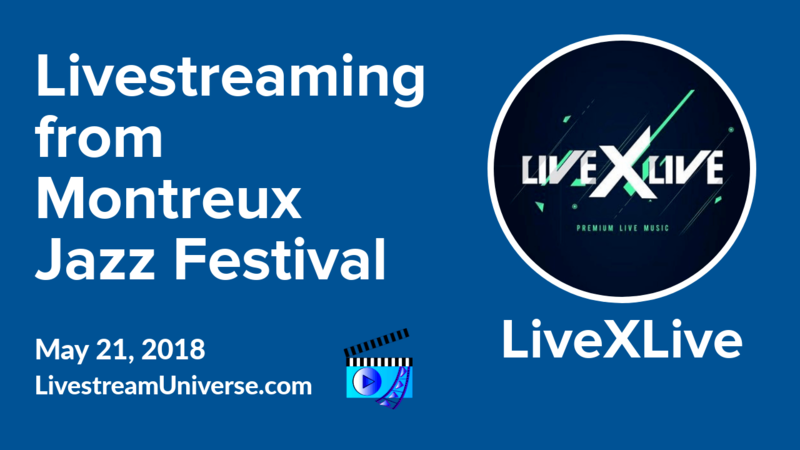 LiveXLive has obtained live streaming rights to the Montreux Jazz Festival, including exclusivity for all livestreams delivered outside of Switzerland. It’s a 5 year deal between the world’s 2nd largest Jazz Festival and a leading digital distributor of live music. CelebrityAccess.com reports LIveXLive will build a production and content studio on the festival grounds. LiveXLive’s coverage of the 52nd Montreal Jazz Festival begins June 29th. It’ll be available on iOS, Android, Roku, Amazon Fire TV and Apple TV. In the US, Select audio livestreams can be heard on Slacker Radio. On Live Stream Insiders, Krishna De and Peter Stewart shared some interesting developments regarding YouTube. YouTube channels are gaining increased live video viewership and magazine publishers see YouTube as a safer bet than Facebook. Plus a case study on sales growth through Instagram Live. Catch the replay on the Live Stream Insiders Facebook page. At 3pm ET, the topic is Facebook Organic Engagement as Owen Video hosts BeLive Weekly. Ben Perry will share the single concept that revolutionized his Facebook reach and engagement. View on the BeLive TV Facebook page. Show & event links at our website. For http://LivestreamUniverse.com, I’m Ross Brand. Have a day! Ross Brand with your Livestream Universe Update and Flash Briefing for Monday, May 14th, 2018. Viewers are not pleased with what they’re seeing so far from Major League Baseball’s Facebook Live game broadcasts, according to VideoInk.com. Fans are unhappy with the presentation of the broadcast, in particular “clunky graphics, wasted screen space and nonsensical closed captions.” These complaints from viewers differ from the gripes about delays and crashes that have plagued past livestreams of sporting events. At 3pm ET, Owen Video hosts BeLive Weekly on the BeLive TV Facebook page. 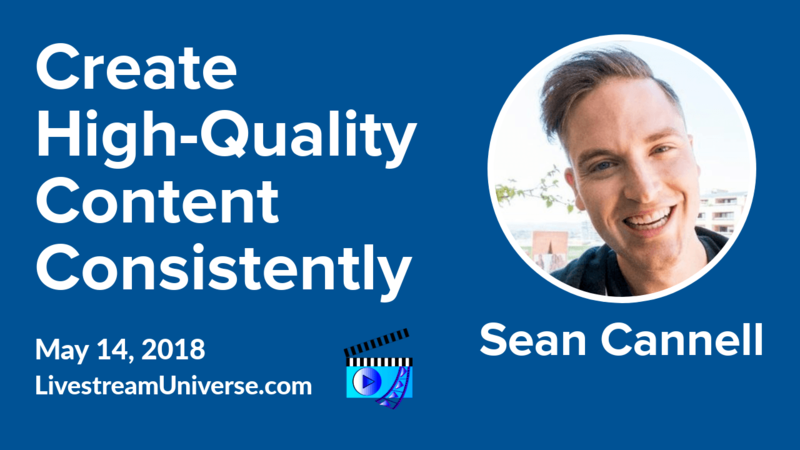 YouTube star Sean Cannell joins Owen to talk about why content is king and the importance of consistency. Content Creation vs Content Promotion: Which is More Important? Ross Brand with your Livestream Universe Update and Flash Briefing for Monday, May 7th, 2018. Content Creators are often hear that they are putting too much time and effort into creation and not enough into promotion and advertising. On LIvestreamDeals, Express Writers CEO Julia McCoy said her company is achieving great results by following a different path. Julia is the author “Practical Content Strategy & Marketing.” She says when it comes to written and audio content, quality wins. You can catch the entire LivestreamDeals interview with Julia McCoy on the Livestream Universe Facebook page. At 12:30pm ET, Coach Jennie talks about why and how entrepreneurs sabotage their success and what to do about it. You can catch Coach Jennie Live Mondays to Fridays on the Coach Jennie YouTube channel. At 3pm ET, Owen Video hosts BeLive Weekly on the BeLive TV Facebook page. Show & event links at our website. For http://LivestreamUniverse.com, I’m Ross Brand. Have a great weekend! Ross Brand with your Livestream Universe Update and Flash Briefing for Monday, April 30th, 2018. In Real Life or IRL live streaming too often means streaming while driving. And this is a trend that can have horrible consequences. A YouTuber was involved in a serious car accident recently while distracted by reading comments on his phone. He failed to see the stop sign or notice the truck approaching him. He was reported to be in moderate to serious condition after being hospitalized with blunt force trauma and airlifted from the scene, according to CBS Philly & CNN Wire Services. The YouTuber said he was streaming to make the 40-minute drive less boring. This follows a near-incident in which a popular and controversial YouTube IRL vlogger just missed causing an accident while driving and live streaming with other IRL streamers in his car. 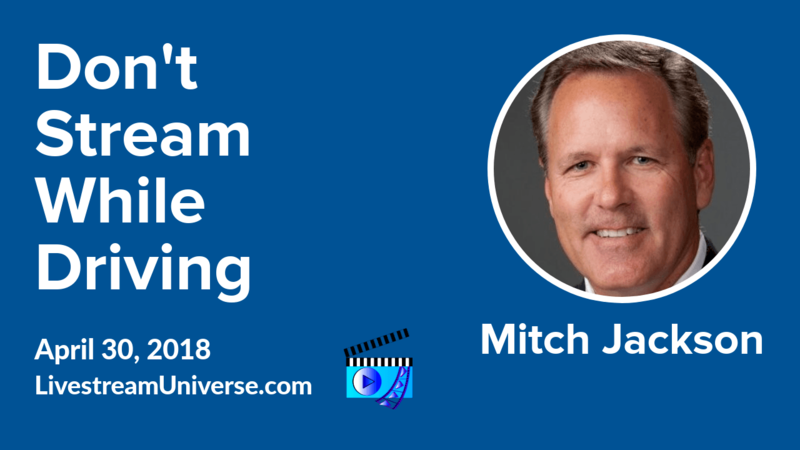 Streaming Attorney Mitch Jackson has been a leader in raising awareness about distracted driving. As a Livestream Universe guest in May 2017, Mitch drew a sharp line in the sand when it comes to streaming while driving. Mitch and his son Garrett Jackson run the Stop Distracted Driving Facebook group. At 9pm ET, it’s “Ask Mike Murphy.” Bring your tech and podcasting questions to the Mike Murphy LLC Facebook page. Show & event links at our website. For http://LivestreamUniverse.com, I’m Ross Brand. Have a great day!